Antique security does not need to mean that your security is behind the times. 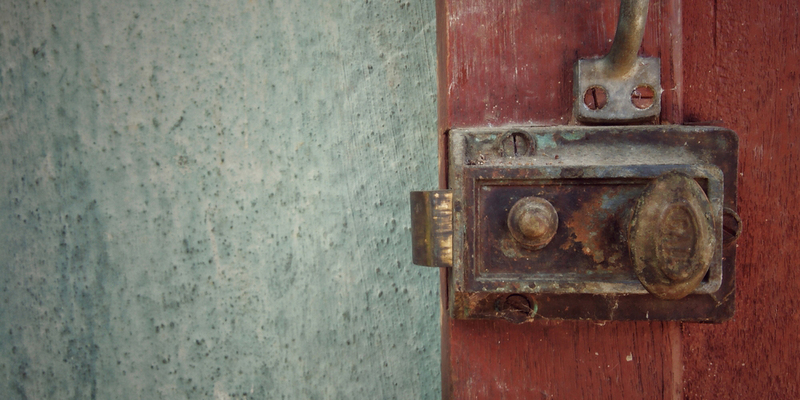 Many classic antique locks have a solid security foundation. As long as they are not in desperate need of antique door lock repair, there is no obvious reason you can’t use antique locks as functional security. The mistakes people make with things like antique door knob repair are pretty unique. They lack similarities to something like the security mistakes people make with classic cars and resemble the problems you are likely to encounter with old antique trunk locks. Learn everything that will be helpful for antique door lock repair and even the things you should know about old door hardware replacement. Find your issue, and you will have an easier time finding the solution. Most doors will fall apart long before your lock. Doors rot, the wood wears so that set screws no longer hold or that the locks/handles sag. If your door is falling apart, your antique locks could probably use some sprucing up as well, but you will need to make sure the new door that you get is cut properly so it will fit your antique locks. Antique locks are likely to need special pockets or non-standard hole sizes. This is because back in the day, locksmiths would make the locks themselves. As a result, there was very little standardization. The point being, a damaged door will undermine any level of antique lock repair, and door replacement will be a little tricky. But in this case, antique door lock repair will not be what you need. 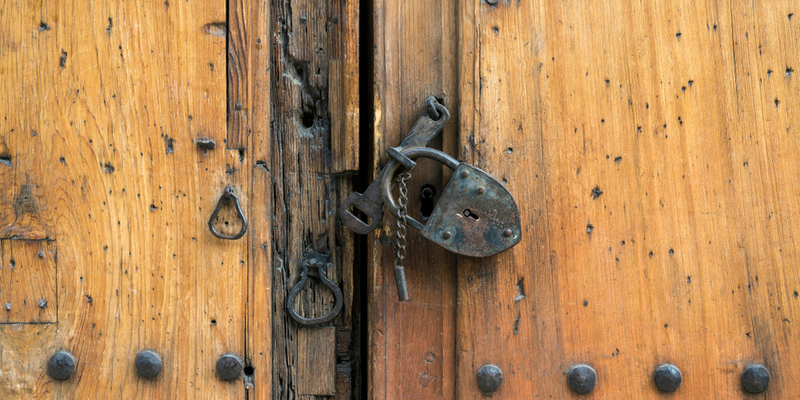 With antique locks, there are a whole host of mechanical issues that can crop up. Antique locks can also be anything from antique door locks to antique padlocks, so the problems will vary substantially between the different devices. But the root of a mechanical issue can be understood only after you understand the antique lock itself is not functioning. Some issues can be very apparent, such as when a door handle is falling off the spindle or a key turns in the padlock but it will not open. These types of problems are centralized very visibly in the lock itself. To know what the solution is, you will need some more knowledge about the lock and the problem. Maybe you are not looking for antique door lock repair because the lock is not working. Many antique locks can be in a desperate need of a polish. They can become discolored or their coating can begin flaking off giving them a very unpleasant appearance. This can harm the general visual appeal of a room or the home itself, and that can also decrease your home security. When your home does not appear as though it is being looked after, criminals make certain assumptions about your intention to protect your property. So even if the lock is in good to fair working order, it may seem to the outside world that you do not care about your home security. So for security and the general appearance of your home, don’t neglect this type of antique door lock repair. Is there an issue with the antique door lock or the antique door knob? Antique door knob repair is not the same as antique door lock repair, the principle difference is the complexity of the device you are fixing. 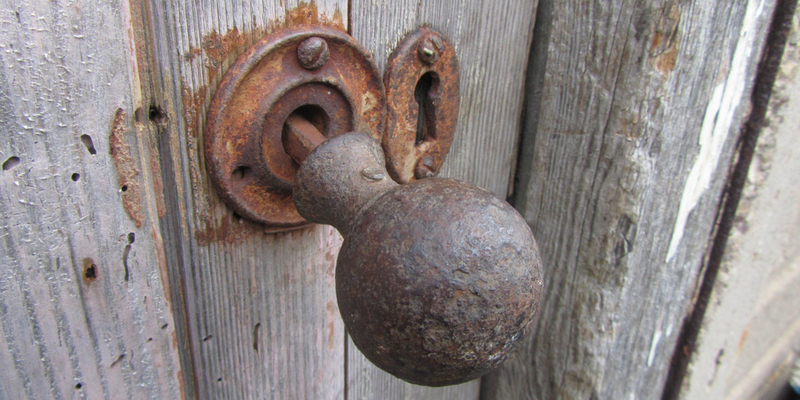 Most people with a basic understanding of metalwork can handle routine old door knob repair. You may need a background in locksmithing for old door lock repair that involves understanding the way more complex parts of the bolt work. Antique door knob repair can be a little complicated if you cannot figure out why the knob is not turning or securing to the spindle. You might need more options to fix door handles than those recommended for standard locks. In more complex cases of antique door knob repair, don’t hesitate to call a locksmith. A locksmith for antique locks will have the type of experience you need to handle antique door knob repair and old door lock repair. Antique locks are very diverse. Because many older locks were made during the time when every new lock was trying to set the industry standard, there are a lot of surprises your antique locks can have. These issues are a good place to start for troubleshooting solutions and finding the issue with your antique locks. 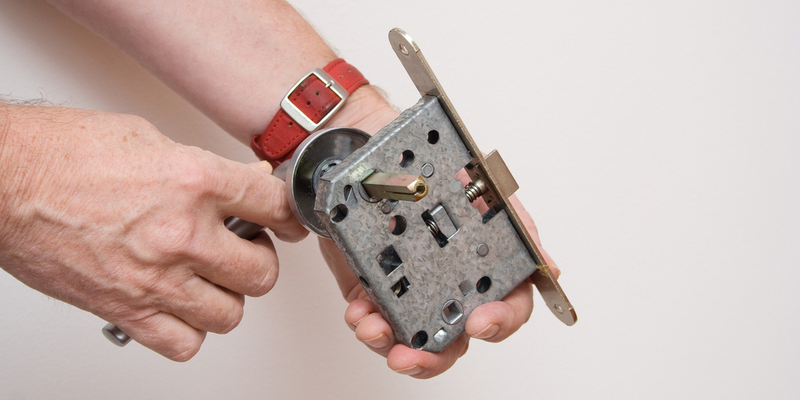 Before you know what you need from your antique door lock repair, make sure to do some homework. Old metal rusts. For that reason, many antique locks suffer from issues centered around oxidation. Rust is the result of a chemical reaction that is creating a solution (not in the problem-solving sense of the word), which clogs up the lock. This can lead to antique locks seizing up internally or just make it much harder for an antique door handle to turn. You can usually tell by looking at a lock whether it is rusting. There will commonly be a yellowish brown sandy textured residue. Even if you clean the faceplates, handles, spindles, and other visible parts of antique locks this internal build up is still detectable if it is spilling out of the keyway. If you are looking to remove rust from your lock, you will benefit from reading the servicing section of my article about mortise locks. The easiest solution for you to do on your own is to deconstruct the lock and soak the components in vinegar. You should then polish everything so that the rust does not return. If you do this yourself, be sure that you know how to reinstall everything you take apart. From cracks, to clean breaks, when antique locks are damaged severely enough, they will need some level of fabrication as a part of the antique door lock repair. Most often these breaks happen because rust has created imperfections in the metal, and even worn it down so that the repeated stress of daily use causes the lock to break in a very profound way. The antique door lock repair process needed to fix these types of issues will undoubtedly require professional oversight. Not every large break can be fixed in a way that is suitable for a customer. In those cases, a full or partial replacement will be the best options. In the case of antique padlocks, a large break is almost always the end of that lock. Whereas antique door knob repair for a large break might only need a new spindle or some simple welding. The worst type of large breaks are those that damage the locking mechanism. Most of the time, antique lock repair will not deal with fixing the internal components of a lock because the majority of antique locks use very hardy lock styles (due to their simplicity/lack of moving parts). For antique lock repair that involves solving internal issues most of the time, there will be foreign objects blocking the key path. However, if you have a special lock that was intended for high-security the internal composition of the lock could be a lot more complicated than some modern locks. When you look back at the history of lock innovation, you will see a golden age of complex lock designs. Though most of these locks have been taken off their respective doors to sit on the shelves of collectors, every once and awhile you will find one out in the wild. It is never a good idea to try to service these antique locks yourself. By virtue of their tamper resistant security measures, they can be easily damaged or moved into a permanent or semi-permanent locking position. Antique locks are pieces of history. The rarer the lock the more important it is for you to handle them with care and have your antique lock repair done by a competent locksmith. In cases where nothing is working to fix your lock, hold off before you open it up for a better look. Often you see issues with antique locks falling apart when you need old door knob repair. A door handle can be slipping free of the threaded spindle or the rose of the handle is loose and the whole door knob assembly is slack inside the door. In most cases, you will be able to solve the issue by tightening up the connections. Tightening connections is the most simple solution to fix a broken lock, and it is a likely answer to this type of old door knob repair. It is only when antique locks are falling apart due to a separate issue. If this is because of a separate core problem, try to find the prevailing issue in the list you see before you. Sometimes it can be very difficult to diagnose what the problem is, let alone handle the antique door knob repair yourself. If you are having any trouble, be sure to reach out to a local locksmith. Antique keys for antique locks are hard to come by. They are often unique to the point where you can’t find blanks in the lock section of your local hardware store. You might need a key made special after a locksmith has had time to study the key. If there is no existing key to be copied, chances are, the locksmith will need to hold on to the lock in order to make a key. Not every locksmith has the skills or materials to do this kind of work. Making new keys will take actual keysmithing skills. Replacing antique keys can be a part of antique door lock repair or it might be the exclusive service you need. A case could be made that a new key is not a repair, but without a key, your antique lock does not work. Call it a stretch, but if you need an antique lock key, just be sure you also call a locksmith. Oddly enough, you can solve the issue with your antique locks, and the same exact problem can resurface. Often this is because the lock is injuring itself. The piece that is breaking is being broken by a component that is not properly aligned. This is by far the most difficult issue to detect because the problem is masquerading as another issue. However, the lock might also not be the culprit for the recurring issue. In the case of fixing a jammed door lock, the door might be catching on the jam because the foundation is tilting. That means no matter what you do to the lock, door jam, or door, the problem will always resurface as the house tilts. There is no need to worry about your fixes not lasting when you first encounter an issue with antique locks. Only after you have received antique door lock repair services which worked temporarily, do you have to concern yourself with this more severe antique door lock problem. As mentioned already, old door lock repair is not always a viable solution. There are few things more difficult finding an exact replacement for your antique locks. Best options will include finding a lock that has the same dimensions or replacing your door when you replace your antique locks. Most people would say that antique lock repair information should not include insights about antique lock replacement, but not every old lock can be made new again. Sometimes, repairing a lock means making sure there is a working lock on the door. You do not want to give up security. To find out all your options for instances where antique door knob repair, old door knob repair, old door lock repair, and any other form of antique door lock repair, is not enough for your antique locks, call a locksmith. Old door hardware replacement can be simpler if you have the assistance of a trained professional. Whether it is replacement door handles for old doors, antique door knob repair, or old door lock repair it is a good idea to get a locksmith involved. Make sure they know about antique locks. This specialty is not extremely popular, so call a locksmith you can trust.